Process - New Home Designs for Sale | Carter Builders Inc. Process for Homes Designed for sale by Carter, Inc.
Purchasing a Home Designed by Carter, Inc. Design Team ensures that the home fits the community and includes the appropriate interior and exterior finishes to fit the market. Thereby virtually eliminating the possibility of purchasing a home that has been over built for the community. Depending on where the home is in the construction process at the time of contract determines the number of changes that can be made by the client to the Design Team Selections. We develop the initial allowance packages and only order the selections in time to keep the construction schedule going uninterrupted. Thereby keeping the process open as long as possible to allow a new client to step in with the Design Team to complete all of the selections. Ensure that the lot is clear of debris and other health hazard material and that the utility connections have been sealed. Sediment Control is intended to prevent sediment from leaving a construction site during construction activity. Required when digging or excavating anywhere within the right-of-way, installation or replacement of lines or conduits, erection of utility poles, removing or replacing curbs, gutters, sidewalks, driveway aprons or other public improvements. The selections are spaced throughout the permitting and construction phases. The average homeowner spends a few hours a week with our selections coordinator. Many homeowners have opted, due to their work schedule, to make all of the selections upfront within a few weeks. We will tailor our schedule to best accommodate the customer’s needs. Carter will commence construction once all permits are obtained. On average, construction of a new home takes 6 to 8 months. The variation in time depends on the size of your house, specific selections and design, and the weather. During construction there will be a manager on site every day to direct the operations. 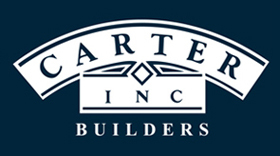 Carter Inc.’s systematized process of reports, change orders and selection timetables makes the building process effortless for our clients. Quality inspections will be done by the manager during the different phases of construction. Whenever there is a question, Carter and the rest of the team will respond promptly. Our clients are always our first priority. During this phase, we like to get our homeowners very involved to ensure they are informed and feel very comfortable throughout the entire building process. After all, custom homes are just that “custom,” and we want them to be exactly as you want them! 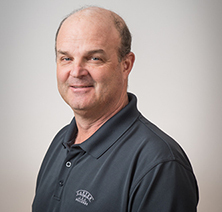 Carter will review everything from window placement to electrical receptacle needs throughout the process to guarantee the quality of your home. A summary of the steps during the course of the construction phase are listed below. Exterior concrete, patio and driveway installation. Every Carter home comes with a warranty to safeguard and guarantee your home is kept to the highest standard. Additionally, there is also 30-day, 6 months, and one-year punch lists to make any necessary repairs and touch-ups. Below is a short outline of our home’s warranties and punch lists. For one year, starting on the Effective Date, the new home is warranted to be free from any defect in materials or workmanship, as defined in the Performance Standards and subject to the limitations and exclusions listed in Exclusions from Warranty Coverage. For two years, starting on the Effective Date, the new home is warranted to be free from any defect in the electrical, plumbing, heating, cooling, ventilating, and mechanical systems, as defined in the Performance Standards and subject to the limitations and exclusions listed in Exclusions from Warranty Coverage. For five years, starting on the Effective Date, the new home is warranted to be free from any major structural defect, as defined in the Performance Standards and subject to the limitations and exclusions listed in Exclusions from Warranty Coverage. 30-day list; after you have lived in the house for 30 days Carter will come back and make miscellaneous repairs which have popped up in the first 30 days of occupancy. 6 month and One-year list, as the house conditions you may notice certain trim and drywall pops, cracks and blemishes. One year after the house has been conditioned, Carter will return and repair these items. "Contracting with you to build our home was the wisest thing we ever did. Thank you does not begin to describe our feelings about this experience. We will... continued"